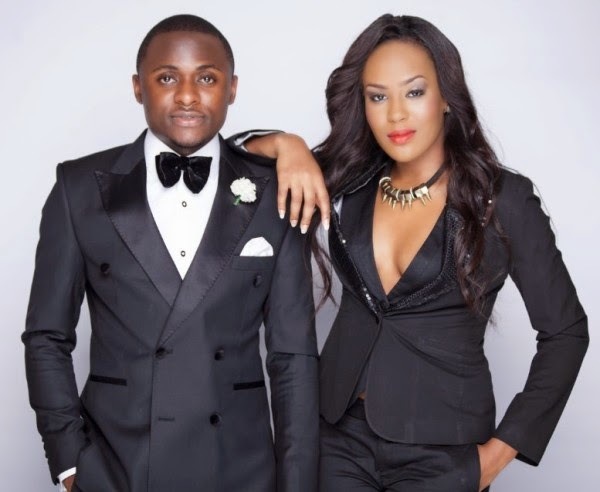 Newly engaged Ubi Franklin has confirmed his past relationship with singer Emma Nyra, stating that he learned from that relationship never again to date an artiste he's working with. In the candid interview with The Cable, the label manager for Triple MG, kinda threw shade on Emma Nyra, explicitly stating how much he has spent on her music without any hit song or video forthcoming from his investment. I was dating Emma Nyra and the relationship didn’t go as I thought it should have gone. When you’re dating somebody and you are the boss, there are things you can’t tell your wife or your girlfriend. But if you say it to an employee you are dating, they tend to misbehave. Like, if you tell the others to do something, they will obey without thinking about it. It’s not only me but it has happened to a lot of people, but that is the business lesson I’ve learnt in my life. That relationship made me cut off a lot of people and it also made me feel like everybody wanted the same ‘cake’ I was having. I spent a lot of time trying to beef people when I am not supposed to. It really dealt me a big blow. I decided in the end that it doesn’t make any sense and we both understood that and moved on. I am just praying to God that everything goes well because I have really tried. I don’t think that I have spent as much money on Iyanya as I’ve spent on Emma Nyra. Emma has like nine videos at about N3.5m. She has a lot of materials out there. For Emma, I just believe that when God says it’s her time, it’s her time. I’ve tried to fix the whole American thing for a while but I still pray God gives her the hit I think she deserves because I’ve spent a lot of money on her.